I don’t have anything groundbreaking today, folks! Just a lot of my current favorite things. Hold tight, I will try not to be crazy :). 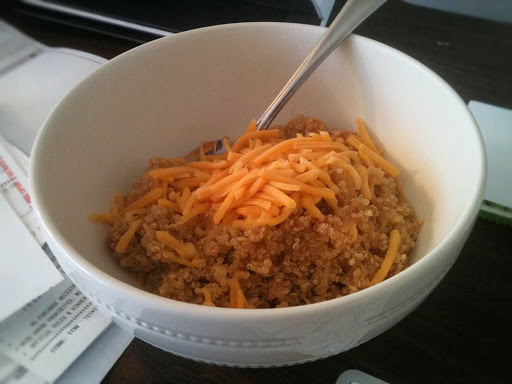 I made a big batch of my favorite Mexican Quinoa for the next several days for lunches. I ate this every day last winter (because it is so warm and yummy!) and can’t wait to start up again now that it’s cold! Recipe here! My all-time favorite tea love is Lady Grey. If you haven’t tried this lighter version of the “Earl”, you can get it here. Tip: it goes wonderfully with shortbread. Welcome to my winter evening tradition :). I read this article called 18 Things Everyone Should Start Making Time For Again. All I can say is “Amen”. Please enjoy this little thought-provoking jaunt, and then get off your computer and enjoy one of these ideas! Her perspective is so refreshing and clear! I have officially started listening to Christmas music – don’t judge! Shay at Mix and Match Family sums it up perfectly today. Check out her playlist here! I hope you enjoy some of these things today!